Jim Kirchherr is Senior Director of Content and has been with the Nine Network since 1991. He oversees production of local broadcast and digital content, including Living St. Louis, documentaries, public affairs specials and town halls. For his work as a producer, host and writer he has been awarded 26 regional Emmy Awards. 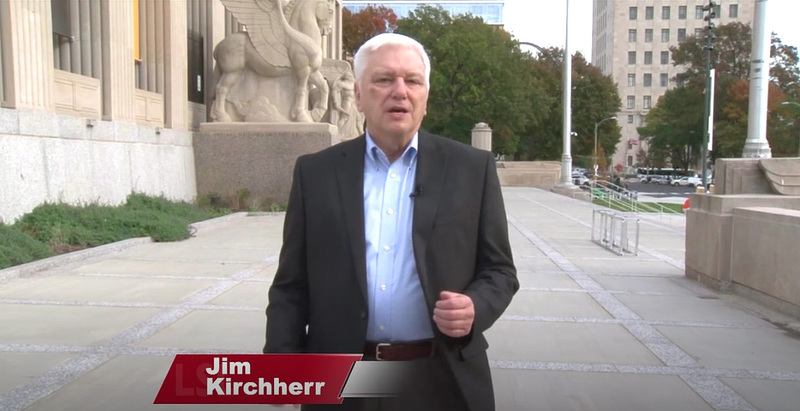 Before coming to the Nine Network, Jim worked as a senior news editor for Radio Free Europe/Radio Liberty in Munich, Germany, and as a producer and reporter at KTVI. In addition to producing award-winning stories for Living St. Louis, Ruth Ezell has also served as host for Channel 9 specials including No Sweet Home, Aging Out of Foster Care, Crisis in Education, Closing The Achievement Gapand the four-part series Remaking Missouri Medicine. For the past five years, Ruth was known to radio audiences as a co-host of Total Information AM on KMOX. Over the course of her career, she has worked at several radio and television stations in the Midwest as a reporter, producer and anchor—most recently at St. Louis' KSDK for 10 years before joining KETC. She is a four-time Mid-America Emmy award winner and a six-time winner of the Excellence in Communications Awards sponsored by the Greater St. Louis Association of Black Journalists. Ruth studied liberal arts at Olivet College in Michigan and the University College of Washington University. When she's not working on Channel 9 projects, Ruth enjoys live musical performances, theatre and reading—particularly novels and biographies. As both senior producer and director, Anne-Marie Berger has helped create some of Nine Network’s most popular programs, including the PBS documentary series Homeland, Living St. Louis, and Donnybrook. Berger has led the content behind the national public media initiative, American Graduate, focusing on positive outcomes for our regions young people and, through documentary specials, has addressed issues such as the heroin epidemic, race, poverty, and health care. Anne-Marie began her career at WYES-TV, a PBS affiliate station in New Orleans. Since coming to the Nine Network in 2000, she has received 13 regional Emmy Awards, a National Association of Black Journalists Salute to Excellence Award, and many others. She currently serves as the Awards Chair for the Mid-America Chapter of the National Academy of Television Arts and Sciences (EMMY) and as a national trustee for the National Academy of Television Arts and Sciences. Berger has worked as an adjunct professor for St. Louis Community College. A St. Louis native, she attended St. Joseph's Academy and graduated with her B.A. from Loyola University in New Orleans. She went on to earn a master's degree in Media Communications from Webster University and now resides in University City with her husband and two daughters.